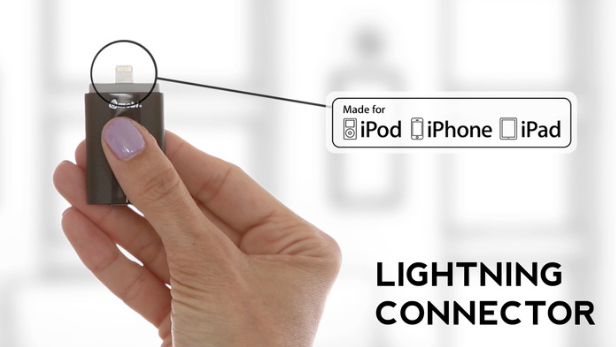 A new Kickstarter project, the iStick, offers a unique combination of a USB flash drive and a built-in Lightning connector. The device, which has been given Apple’s Made for iPhone seal of approval, could come in handy in a number of scenarios. Accessory maker Hyper is behind the project. Here’s a quick video about the device. Click here if you can’t see it. The iStick is designed to work with both the Mac and PC. On the iOS side, users will interact with their data using the free, universal companion app. Along with being a music and movie player that can decode a number of non-native iOS video formats, you’ll be able to copy and move files from your iOS device to the iStick, and back. Files on the iStick can also be opened in other apps. Right now, for a $65 dollar pledge, you can snag an 8GB white or black version of the device. If you need more capacity, a 64GB iStick can be had with a pledge of $179. A 128GB iStick will set you back $299. As of now, the project has blown past it’s original $100,000 goal as users have pledged more than $128,000. So the project is officially funded. All rewards are estimated to ship in late August. While the price and size of the device isn't exactly optimal, I can see a number of times where something like the iStick could really be a lifesaver. 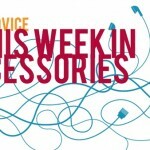 For other recent accessory news, see: The Snakable Means Saying Goodbye To Broken Apple Lightning USB Cables, The Reason Now Is A Great Time To Shop At Apple's Online Store, and This Week In Accessories: Speck CandyShell Amped, boomBOTTLE h2O And More.